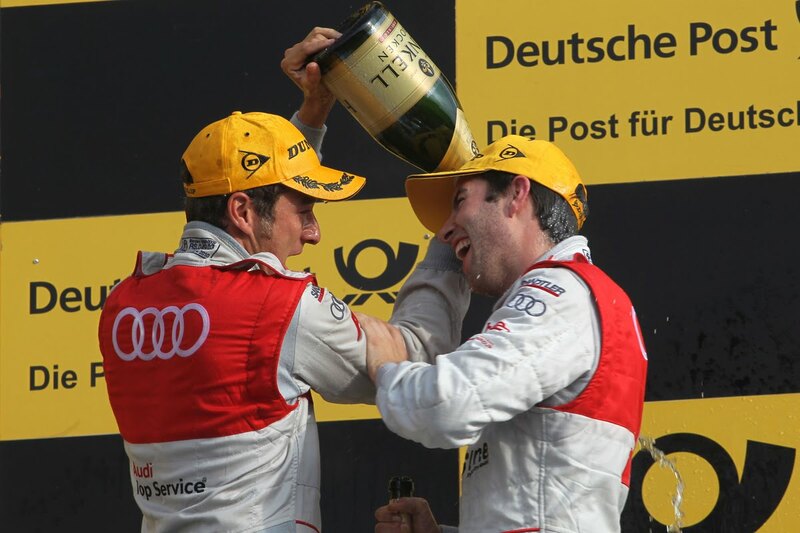 Starting from grid positions one and two, it was Audi drivers Timo Scheider and Mike Rockenfeller on the podium following today's DTM race in Hockenheim. 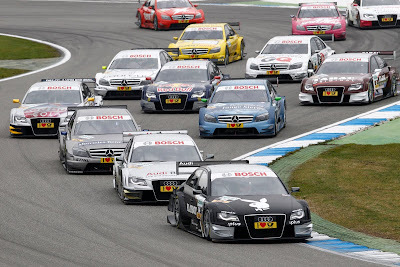 Though placing second and third behind the Mercedes of Paul Di Resta, Timo and Rocky put on a very impressive performance in front of nearly 140,000 fans for the German finale of the 2010 DTM season. 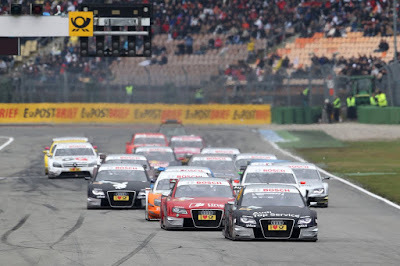 Ingolstadt/Hockenheim, October 17, 2010 – In front of an impressive turnout of 140,000 spectators (throughout the weekend) Audi put two drivers on the podium at the German finale of the DTM. Timo Scheider achieved his best result of the season with a second-place finish. 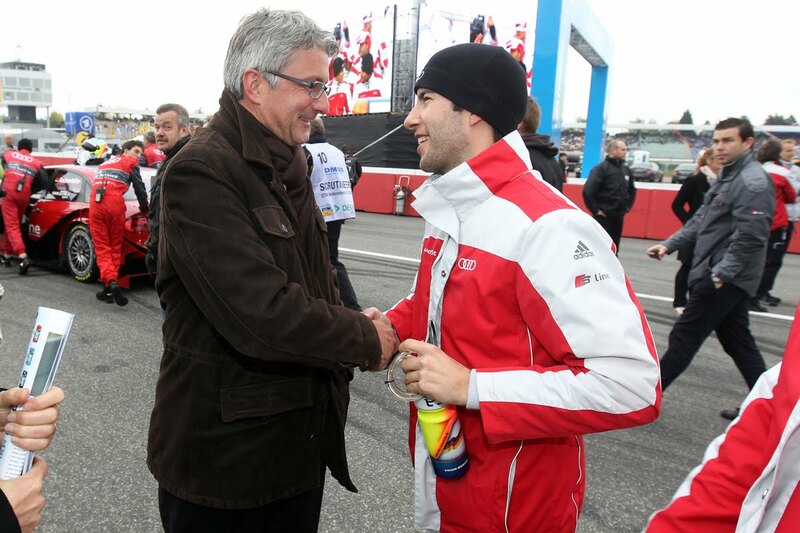 Mike Rockenfeller in his 40th DTM race managed a podium result for the second time in his career. 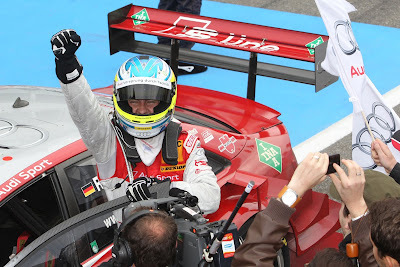 After starting from the pole position Timo Scheider was leading the race for a long time. Only in the final phase he lost the remote duel against Paul Di Resta, who was using a different strategy and returned to the track in front of Scheider after a late second pit stop. 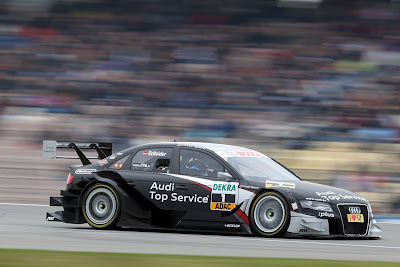 As Di Resta was running on the fresher tires Scheider was no longer able to counter and was instructed by Audi Sport Team Abt Sportsline to save the tires and secure second place. Mike Rockenfeller, who was by far the strongest driver of a 2008-specification car at Hockenheim and with a third-place finish clinched the first podium result of the season for Audi Sport Team Phoenix, was highly pleased. 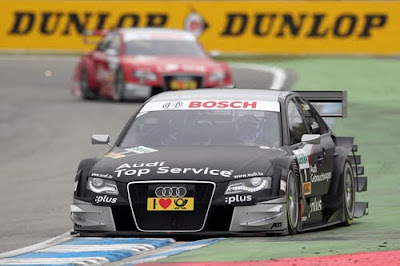 The Le Mans winner last mounted the podium in the DTM in 2007 at Oschersleben. Martin Tomczyk and Oliver Jarvis went on a chase after Gary Paffett on the final laps but did not manage to bump the Briton from fourth place any more. 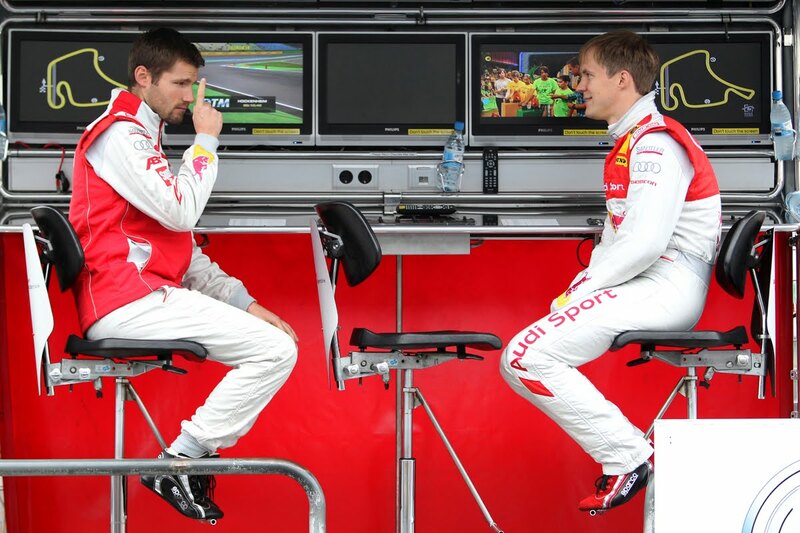 "After my first attack my tires picked up some rubber off the track,” reported Tomczyk, who occupied fifth place just barely in front of Jarvis. After a mass collision on lap one, just half of the 18 cars that had started from the grid finished the German finale. 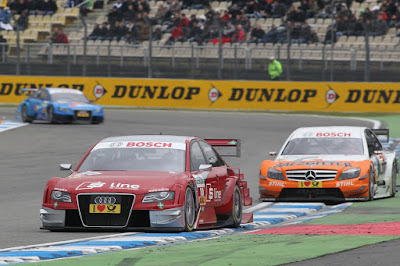 For Markus Winkelhock and Katherine Legge (both from Audi Sport Team Rosberg) the race on the new short circuit layout was over at the end of the "Parabolika” as quickly as it was for Miguel Molina, the best rookie in the 2010 DTM. Mattias Ekström was entangled in the mass collision as well. 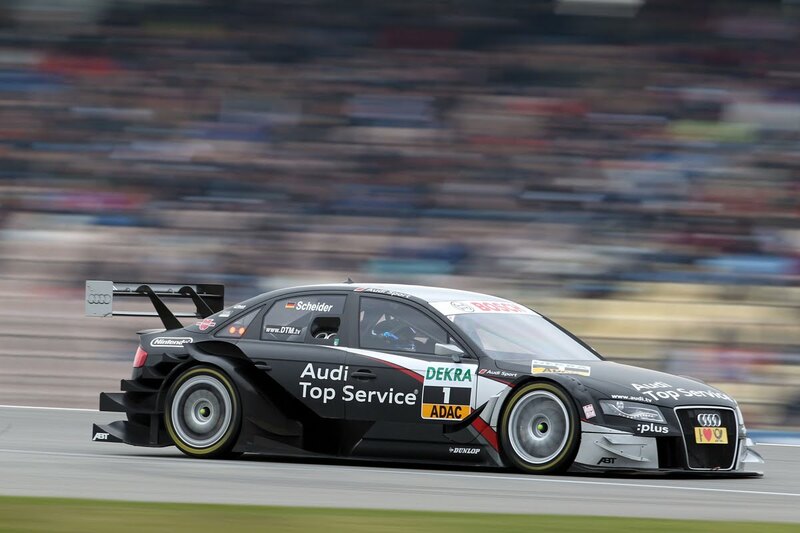 At first the Swede was able to continue to drive his damaged A4 DTM but after two unscheduled pit stops had to retire on lap eight due to a broken right rear suspension. Before the race at Hockenheim Ekström had been the last Audi driver to still have chances of winning the DTM title. This was true for Alexandre Prémat as well, who had been running in the points before being brushed by Jamie Green in the pit lane. 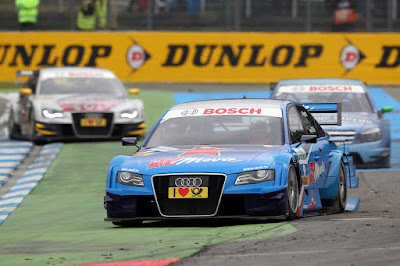 The right front suspension broke in the incident.